I was lucky enough to be on holiday last week in Provence. The weather was hot, the wine was excellent and the beer was cold. What more could I have wanted? Well after my tenth Kronenbourg I craved a beer with a bit more punch. So when at the intermarche I was lucky enough to stumble across some Jenlain Ambree and some La Goudale. These beers are a under appreciated style of beer called Biere de Garde. Biere de Garde roughly translates as “beer for keeping”, historically it was brewed in winter months to a high alcohol level so that it would keep all year. It originates from French Flanders and can be seen as a French equivalent to Saison. However, stylistically it is quite a different offering with spice taking a back seat and a more rounded malty character dominating. Also, Biere de Garde tends to be stronger, with an an average ABV of 7.5%. Sadly, this style tends to get forgotten about and very few Biere de Gardes are available in the UK. However in France, with the rise of craft beer, it is slowly rising in prominence. Typically it is sold in 75cl bottles with a Champagne cork, which has resulted in it becoming a fashionable drink, especially in Lille where it is seen as an alternative to Belgian beers. I have been fortunate to try a few style of Biere de Garde, and for those of you who are a fan of quality Belgian beers they are a must. However they should be respected as beers in their own right not just as poorer cousins of Belgium brewing. They have a wonderful freshness and a terrifying drinkability considering their strength. 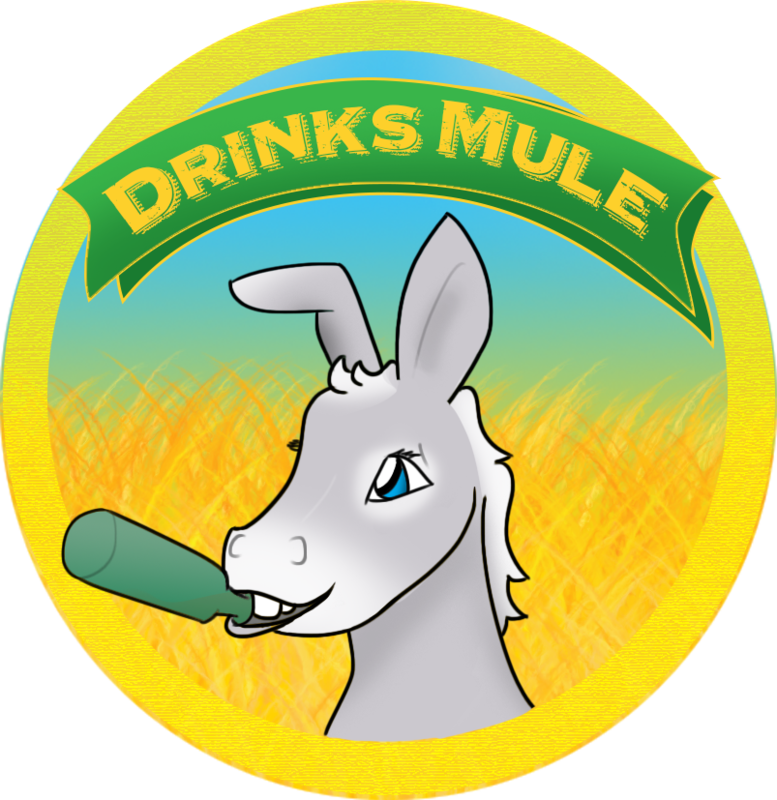 Despite an often heavy malt presence on the palate they are never cloying. Also, as to be expected with French alcoholic produce, they are great with food. 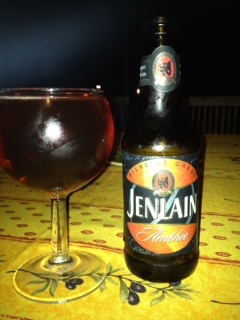 My Jenlain Ambree was perfect with steak and the La Goudale went perfectly with roasted cod. So with this in mind I urge you to look out for this style of beer and try a massively underrated style of beer. Vive la difference! 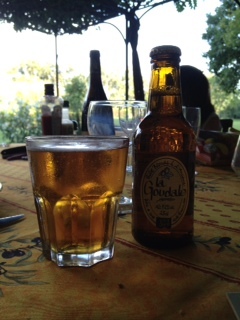 La Goudale: in the 14th century top beers were called “Goudale” or good ale and what was true then is true now. A golden and flavourful beer, with a long finish. Well balanced hops and a touch of spice. Perfect before a meal or with fish. 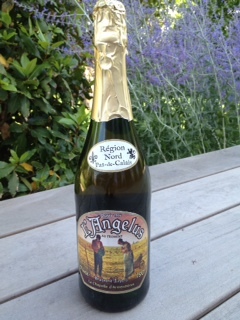 Angelus: contains 30% wheat, which makes it quite different. Wonderfully spicy, a complex and intriguing beer. For me this is best enjoyed on its own, so that all of the flavours can be enjoyed uninterrupted. Jenlain Ambree: Brasserie Duyck,who pioneered the Jenlain brand,are the fathers of Biere de Garde. They introduced the 75cl bottle, the champagne cork and the higher alcohol content. Jenlain Ambree was the beer that implanted the style in people’s minds and livers. A copper colour in the glass, it has a robust malt nature that makes it a very satisfying drink. Perfect with your red meats or cheeses. It is very easy to love this beer!